PRICED TO SELL!! N.A.D.A RETAIL OVER $39,000!! 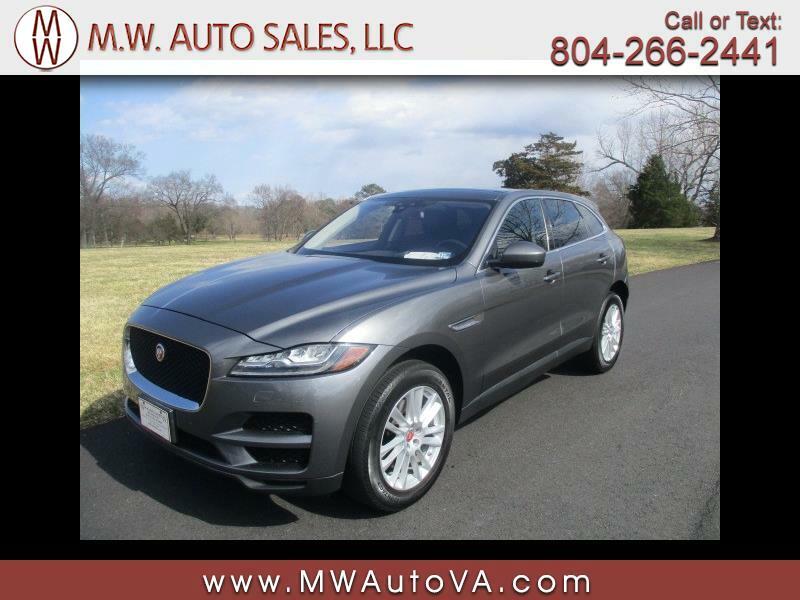 We are proud to offer for sale this gorgeous 2017 Jaguar F-Pace 35t Prestige AWD finished in an original corris grey metallic exterior over a super clean black leather interior. This Jaguar comes loaded up with dual power and heated front seats, heated steering wheel, power tilt and telescoping steering wheel, push button start, wristband key option, dual panel moonroof, power liftgate, navigation, backup camera, dual zone automatic climate control, and 19'' alloy wheels wrapped in a nice set of matching tires. Message: Thought you might be interested in this 2017 Jaguar F-Pace.